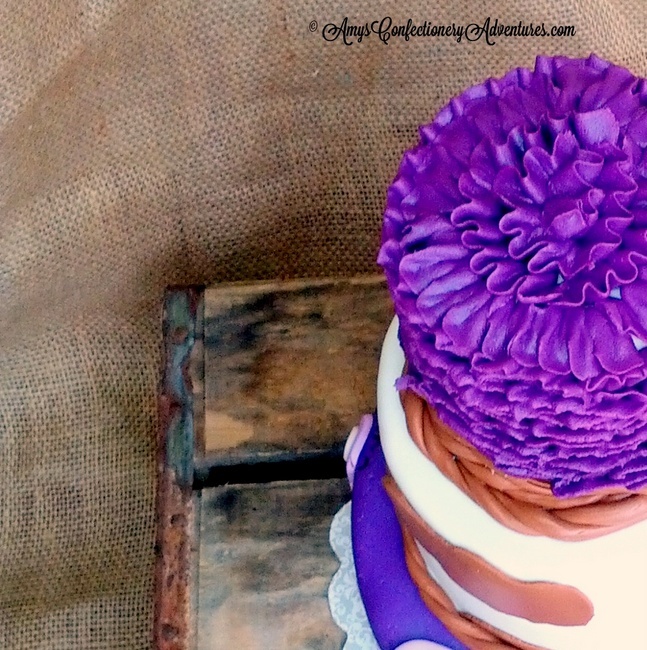 As a mom of two boys, I always love the chance to make a frilly girly cake. This cake had girly written all over it! 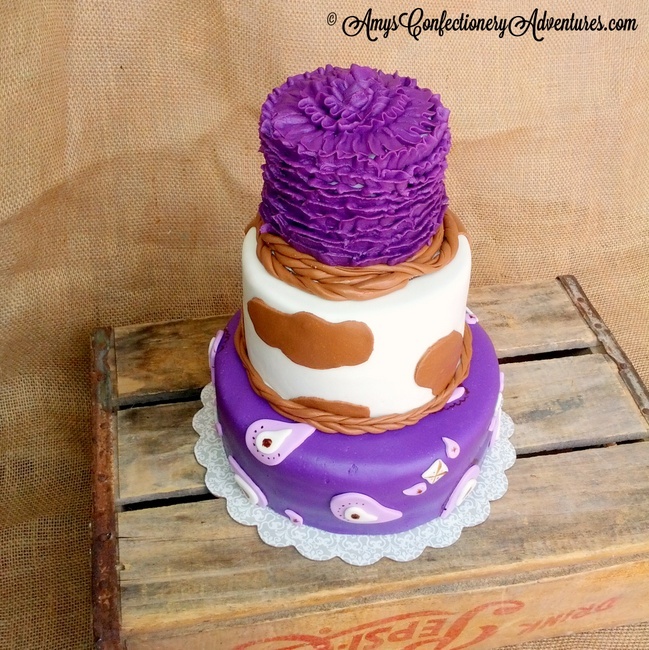 The cake was made for a little girl’s 1st birthday with a purple cowgirl theme! Love it! The birthday girl’s mom asked that the top tier be a smash cake, so I decided to go fondant free on the top layer and throw in a whole bunch of delicate ruffles! Flavorwise, the top two tiers were banana cake with chocolate filling and the bottom tier was dairy-free chocolate cake with banana filling. Since the bottom layer was dairy-free, the banana filling was simply my basic butter cream with ½ teaspoon of banana extract! I loved having the flavors of each tier mimic one another! 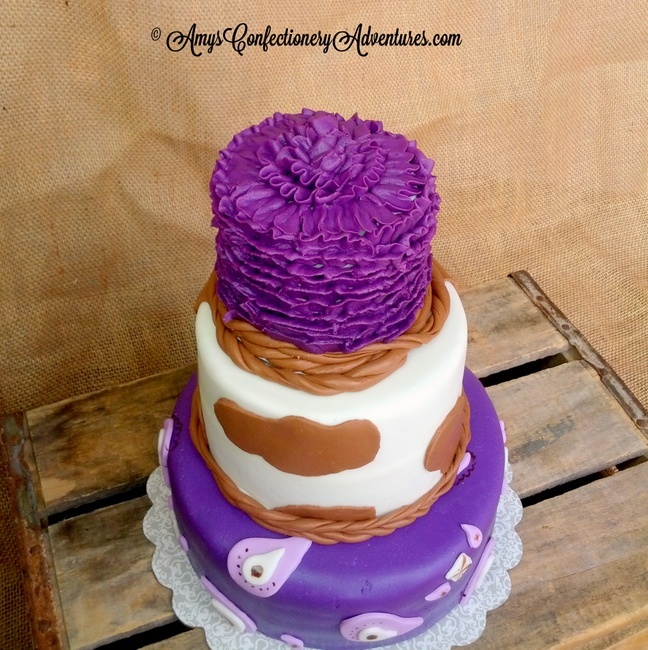 The ruffled top tier was again, purple buttercream. 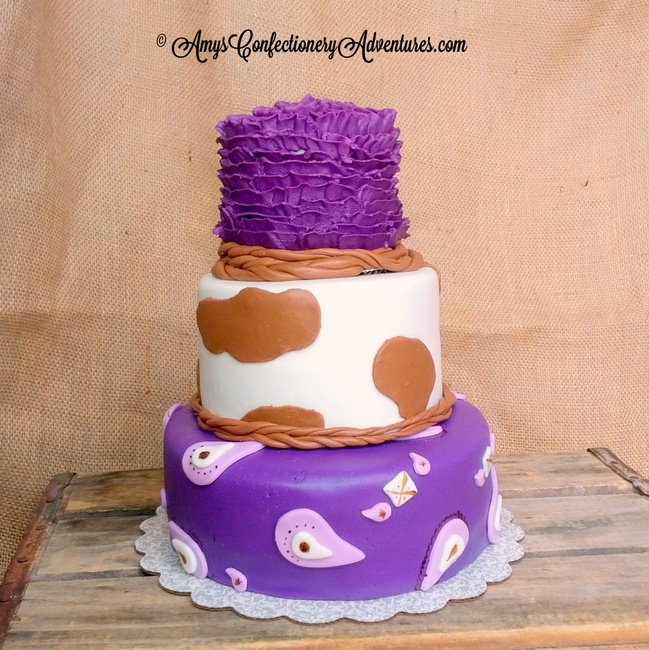 The bottom two layers used MM Fondant, with the roping & cow print made of chocolateMM Fondant. What a pretty cake. Nice to meet you Amy. You have a new follower. You did a great job on the cake, it looks amazing! What a fun theme, with the perfect girly color.